It’s made a name for itself as one of the most reliable trucks on the market. 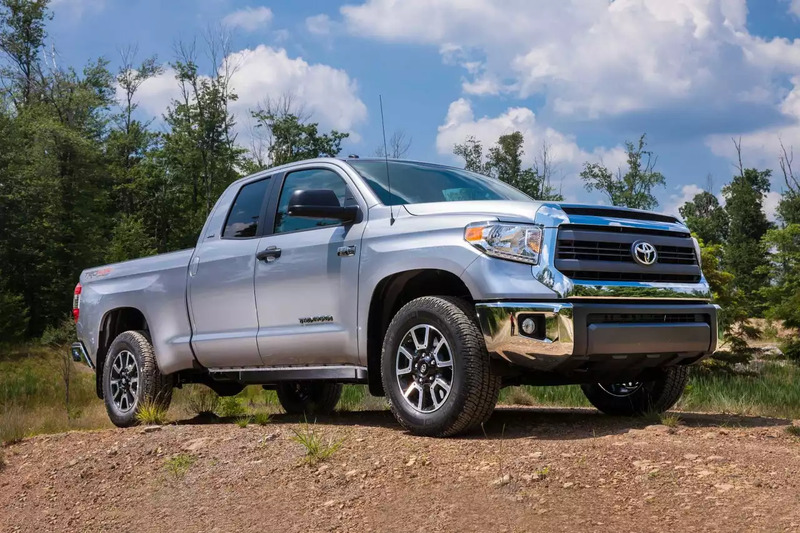 The 2018 Toyota Tundra goes beyond reliability, bringing in an interior and exterior refresh to this year’s model. That’s just the beginning, as well. Let’s see what the new 2018 Tundra brings to the table. Toyota Safety Sense-P is designed to keep drivers out of potentially dangerous situations front and center. It’s system actively scans the area surrounding the 2018 Tundra for wayward pedestrians, make sure that drivers don’t drift from their intended lane of traffic and automatically adjust the set cruise control speed are all designed to act like another set of eyes. This technology is important for the continued safety of the driver. In terms of power, the 2018 Tundra offers two options depending on your needs. The standard power train setup is a 4.6-liter, V-8 engine making 310 horsepower and 327 pound-feet of torque. For maximum performance, a 5.7-liter, V-8 is also available which boosts the truck’s output figures to 381 horsepower and 401 pound-feet of torque. Not sold yet? Here is a video of the McPhillips Toyota Team going through some of the top reasons to upgrade to the all-new Tundra.